The sudden rise in the headhunting has been driven by multiple factors such as an improved funding scenario, increased M&A activity, increased mobile data consumption and the creative e-commerce and transaction models. The Indian startup and e-commerce segment is witnessing a huge demand in the senior talent hiring. Two of the largest growing sectors in the country are on a hiring spree when it comes to leadership positions. The sudden rise in the headhunting has been driven by multiple factors such as an improved funding scenario, increased M&A activity, increased mobile data consumption and the creative e-commerce and transaction models. The Economic Times reported that as against last year, companies like Amazon, Flipkart, Swiggy, Paytm, OYO, Ola or Zomato has witnessed a 40-100% jump in such mandates. The start-ups, especially in the e-commerce sector, have managed to raise capital through series A and series B funding which has given them a leeway to hire talents. Anuj Roy, managing partner, FIDIUS Advisory said that "Online sector hiring has picked up big time." He went on to add that his agency is presently managing 13-14 mandates for senior talent, compared to seven-eight last in 2017. Similarly, Bengaluru headquartered Longhouse Consulting is reported to have doubled their mandate. A quarter ago the company was managing 30 mandates as compared to 75 at the moment. The major part of mandate belongs to the e-commerce segment. The last 6-7 has reported a hike in the hiring with industry estimates suggesting around 350-400-plus senior hires across the e-commerce and startup ecosystem. Notably, last week there were major hiring in these sectors with OYO Hotels appointing ex-IndiGo president Aditya Ghosh as CEO for India and South-Asia; Flipkart getting Smriti Singh as human resources head; MakeMyTrip hiring Vipul Prakash as the chief operating officer (COO). Moreover, Rahul Bhargava was hired as chief technology officer (CTO), InCred and Freshworks made two senior-level appointments. Roy said that "A lot of such companies are now building their teams because once you raise that much capital, you move from a startup culture to a professional-led one." Seed funded companies, as well as unicorns, are aggressively looking out top talents. 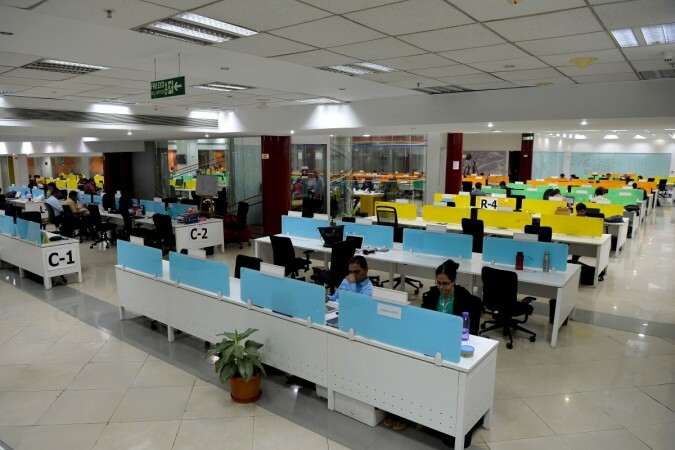 Speaking about its hiring plans for the coming months, Girish Menon, VP, HR at Swiggy said that "In the coming months, we will be doubling down on hiring the sharpest minds in the industry for senior roles in departments such as business, sales and technology, and for highly specialized roles in areas such data sciences and AI."